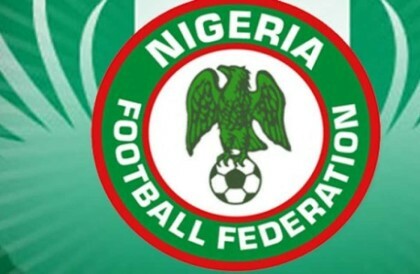 The days of Nigerian players falsifying their ages to get into any of the age grade National Teams or for any other purpose for that matter appear numbered, as the Nigeria Football Federation has concluded arrangements to get a Registration System through the FIFA connect. At a workshop related to Nigeria becoming the first Member Association in Africa to fully implement the FIFA TMS Domestic Transfer Matching System (DTMS) at the Home of FIFA on Monday, and moderated by Vira Egli (Head Marketing, FIFA TMS), NFF 2nd Vice President/LMC Chairman, Shehu Dikko was in company with LMC’s Chief Operating Officer Salihu Abubakar, NFF’s Assistant Director (Legal) Okey Obi and NFF’s TMS manager Nasiru Jibril. In a chat with thenff.com on Monday evening, Jibril, a former Nigerian international, also disclosed that Nigeria has now paid for the very important IRT tool that will make possible a lot of things. “This means that we are now going to be able to register all Nigerian players, wherever they may be, amateurs or professionals, from the age of 10. Some weeks ago, FIFA announced that the NFF is the first Member Association in Africa to implement the FIFA TMS Domestic Matching System. The DTMS online platform, which includes league access, will allow the NFF and the Nigeria Professional Football League to manage its international and domestic transfers via one system. It is modeled on the International Transfer Matching System (ITMS), which is provided to 211 MAs and 6,500 clubs around the world for the cross-border transfer of players. The system will provide the NFF and its clubs throughout Nigeria the ability to manage national and international transfers on one platform, generate transfer activity reports and have greater monitoring levels to enhance transparency and governance.